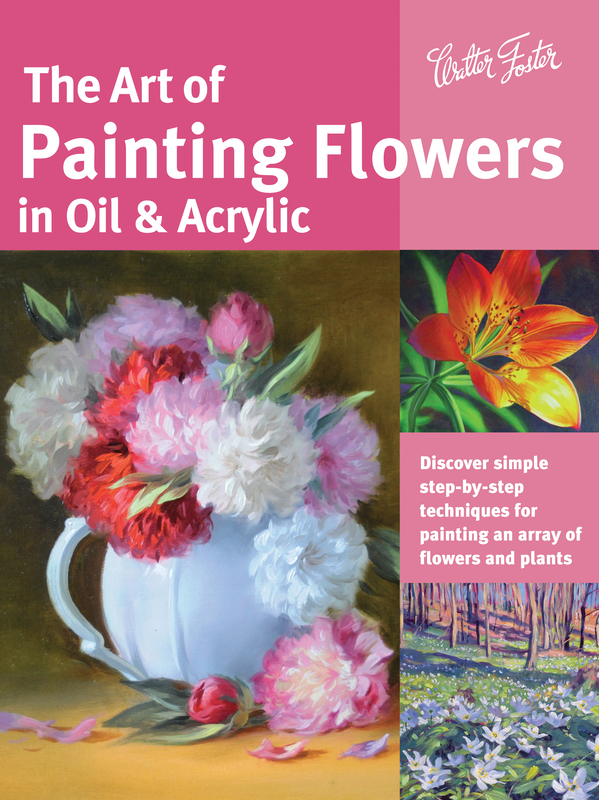 With helpful artist tips and easy-to-follow lessons covering a variety of flowers, The Art of Painting Flowers in Oil & Acrylic will teach readers everything they need to know to create beautiful floral works of art in oil and acrylic. Learn everything you need to know to create beautiful floral works of art in oil and acrylic! This comprehensive book opens with a guide to essential information on the necessary tools and materials for both sketching and painting, including pencils, paints and brushes, palettes, supports, and mediums. In addition to learning about basic drawing and painting techniques and colour theory, readers will learn how to create compelling compositions, achieve depth, and render realistic textures. In The Art of Painting Flowers in Oil & Acrylic, several talented and experienced artists guide readers through easy-to-follow lessons covering a variety of floral and plant life, including tulips, dahlias, hibiscus, roses, daisies, freesia, water lilies, bird of paradise, and more. With sections devoted to both mediums, readers will learn everything they need to know to create beautiful floral works of art in oil and acrylic. Along the way, aspiring artists will discover helpful tips and tricks for mixing vibrant colours, working from photographs, working outdoors, and creating volume and dimension. David Lloyd Glover was trained as an artist starting at the Victoria School of Fine Art while still in elementary school. David began working as a full-time editorial illustrator after high school and was mentored by the noted Canadian artist and cartoonist, Sid Barron. David had six illustrations published weekly by a major daily newspaper for five years. Varvara Harmon is an award-winning multimedia artist who works with oil, acrylic, water-colour, silk paintings, and ink and pencil drawings. Her work has been juried into national and international exhibitions and is in private collections around the world. Varvara's work has been published in International Artist and American Artist magazines, as well as in The Best of America Oil Artists book in 2009 and The Best of World Landscape Artists in 2012. James Sulkowski maintains a studio in Canonsburg, Pennsylvania, and is a member of the National Arts Club, The National Society of Mural Painters, and the American Artists Professional League, among others. Judy Leila Schafers resides with her husband near Villeneuve in the idyllic Alberta countryside where they operate a farm. She has served in several capacities on the boards of the Allied Arts Council of Spruce Grove and the St.Albert Painters' Guild. Judy is currently represented by Monk's Art Gallery and Studio in Parksville, Vancouver Island, B.C., as well as the Daffodil Gallery on 124th Street, in Edmonton, Alberta. Every November, Judy takes great pride in hosting her popular Open Studio Weekend in her light-filled Prairie Sky studio in the country.